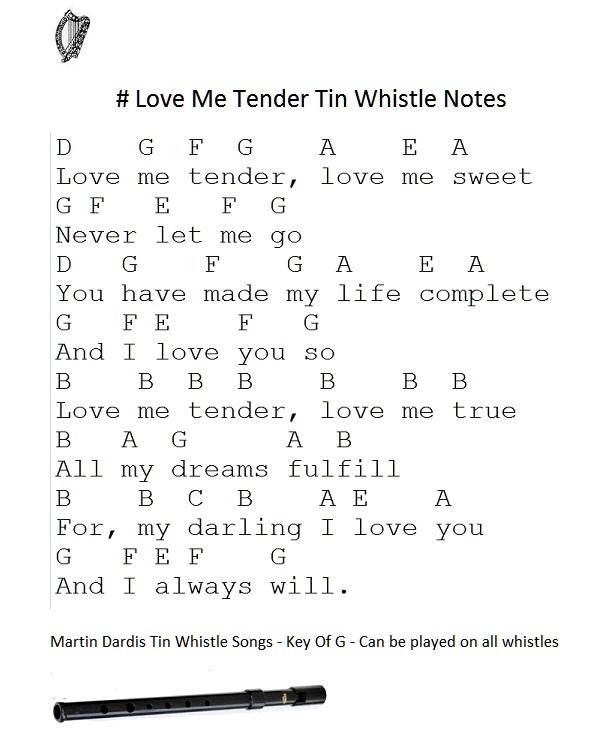 Love Me Tender Tin Whistle Notes. Here's another of these easy pop songs to play. It was recorded by Elvis. I have put a video up to show you how to play the notes. Below are the letter notes which will work on instruments such as the flute and recorder.